The Mill, 906 N. 15th St., was one of Springfield’s most popular dining spots for nearly 40 years. Brothers Herman (1897-1980) and Louis Cohen (1893-1962) opened the tavern and restaurant in May 1933 on the same corner where they had operated a grocery and meat market since 1919. The Illinois State Journal said in 1972 that “The Mill began in 1933 as a 15-seat lunch counter at the rear of the L & H Grocery.” However, contemporary news clippings suggest the restaurant was a more ambitious operation from the beginning. 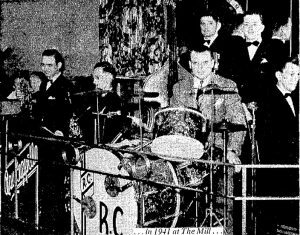 The Mill opened on May 27, 1933. A short article in the Journal announced the new nightspot. Tonight, Harry L. Cusick’s Mill Tavern will make its formal bow to the Springfield public. A fish fry and special entertainment have been planned for tonight, including orchestra music. Schlitz and Pabst Blue Ribbon beer will be on draught and all popular bottled beers will be obtainable. Chilli and sandwiches will be served. There is ample parking space for guests. The Mill Tavern is located at 906 North Fifteenth street in the L. & H. Cohen building on the corner of Fifteenth and Matheny. 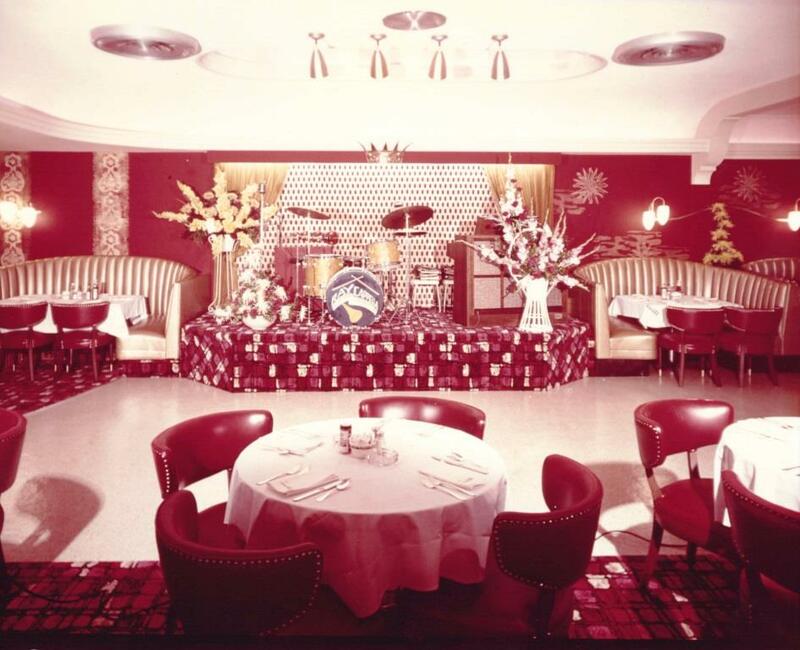 The restaurant – next to, and named after, the Pillsbury Mill flour plant – was immediately popular. In August, only four months after The Mill opened, Cusick oversaw a major expansion. Cusick (1886-1954) stayed at The Mill only about a year, leaving to spend 20 years running another legendary Springfield bar, the Sazarac, 229 S. Sixth St. The Cohen brothers themselves took over management of The Mill, and they had another addition constructed – a 110-seat luncheon/party room – in 1938. The Mill remained a popular dining and dancing spot through the 1940s into the early 1970s. 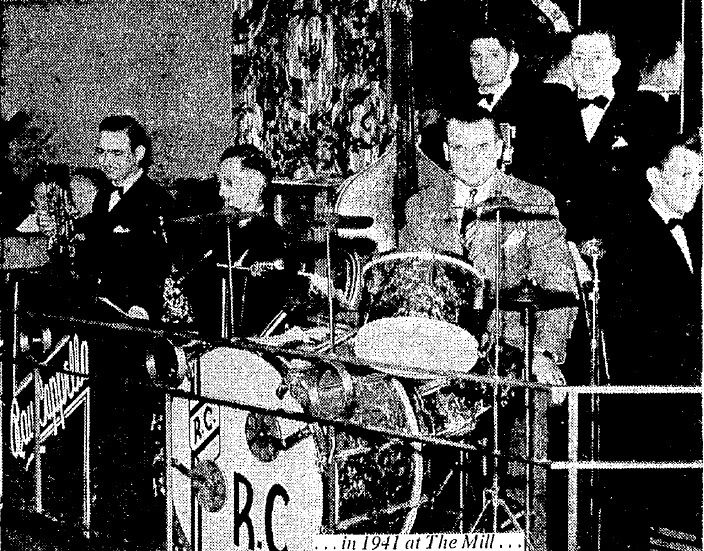 The Ray Cappella Trio, which played The Mill for 31 years, was synonymous with the restaurant during that period. 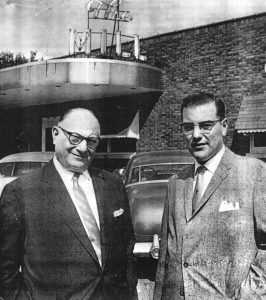 Herman Cohen and his nephew Richard – Louis’ son – continued to manage The Mill after Louis’ death in 1962. Leg problems eventually forced Herman to use a wheelchair, and the Cohens sold the restaurant in May 1971 to Ray Pennington. The Mill was destroyed again by fire the night of April 24, 1972, causing an estimated $350,000 damage. This time it wasn’t rebuilt. Arson was suspected – a witness reportedly told police two people ran from near the building just before smoke and flames began pouring out – but the cause was never officially determined. Cappella (1909-79) was one of those most devastated by the loss of The Mill, he later told Illinois State Register reporter Paul Povse. My heart went down in my stomach. I remembered another night some years back when we had a fire and I played “I Don’t Want To Set The World On Fire” for over an hour – ‘til the audience got tired of it. I can’t find the words to express my sadness. I couldn’t go by there before I went to work that day. This entry was posted in Amusements, Fires, Hotels & taverns, Restaurants, Social life, Uncategorized. Bookmark the permalink. Interesting about Cusick. Byron Booth (of Hobbs) insisted the horseshoe was invented at the Sazarac not the Leland Hotel. Thanks, Mike. If it was the Sazarac, though, it would have been an earlier incarnation. (Cusick picked up the name from a previous Sazarac in 1934; I think he worked there too, though.) By all accounts, the horseshoe sandwich appeared sometime in the ’20s. There was a bar tender, who was called “Daddy Longlegs”, circa 1955-1959 roughly. Does anyone know his real name? Or any pictures existing?